Is Wrike better than Asana? 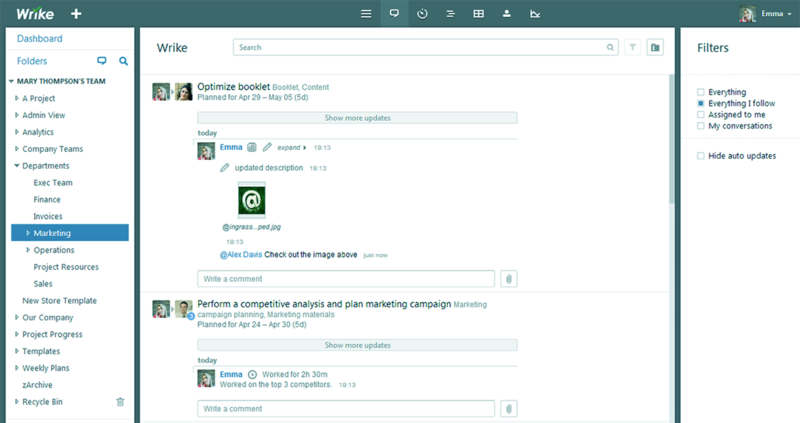 Wrike is better than Asana because it offers more robust project management features. 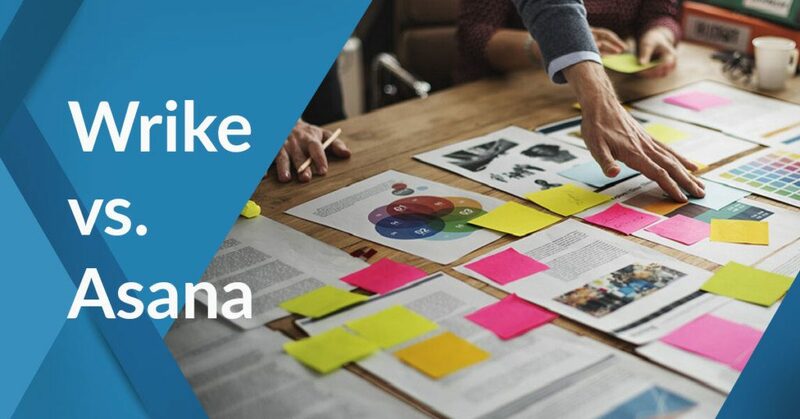 While Asana is more affordable and can match quite a number of Wrike’s functionalities, it is still not powerful enough to handle complex project planning responsibilities. It is more suited for handling basic task delegation and monitoring processes. Wrike and Asana are two of the leading project management software solutions out there. Both are known for their user-friendly interfaces, top-notch features, and extensive integrations. Furthermore, these software solutions can be deployed on any desktop or mobile device, making it easy for agile teams to manage their projects even when they’re out of the office. To help you figure out which one is the most suitable platform for your business, we will be comparing Asana and Wrike head-to-head in this article. The Internet has given a good number of people all over the world the chance to start their own business. From Japan to the United States, an unprecedented number of entrepreneurs is growing, opening businesses to expand their opportunities to earn. But with the rise of the Internet and booming online businesses, entrepreneurs have found that selecting the ideal project management software solution to manage their business operations is more difficult and complicated than it sounds. There are hundreds of project management solutions in the market right now that profess to be the “best” choice for entrepreneurs. Trying to select the best tool for your business can be a big time sink. Pound for pound, we’ve voted Wrike as the Best Project Management Software because of its top quality features, solid capabilities, and reliable vendor support. However, we acknowledge that it’s not the only good solution on the market. We think that before you make a decision on which project management tool to invest in, it’s a good idea to see how other best-in-class apps match with the top software to fully appreciate the range of quality options available to you based on your current needs. One such software that can compete with Wrike is Asana. 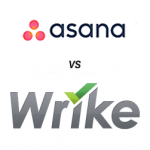 Wrike vs Asana is a good contest as both products can cater to similarly sized companies. Wrike is ideal for businesses ranging from solopreneurs and small companies to Fortune 500 companies. Social media companies, marketing departments, tech firms, and any other firm where project management solutions are needed can utilize this software efficiently. PayPal, Adobe, Google, Electronic Arts, HTC, are some of Wrike’s best-known clients. In the same light, Asana is also perfect for businesses of all shapes and sizes where crucial teamwork is done and it is mostly used in healthcare industries, designing teams, technology, and marketing teams. Some of the major clients of this tool are Foursquare, Virginia Tech, Dropbox, and Disqus. So which tool is better? Here is a detailed analysis of these platforms’ usability, features, and pricing. Furthermore, we will be discussing which tool works better for different kinds of businesses and other key factors that may affect your buying decision. Wrike is an award-winning management and collaboration tool that provides real-time project insights. Established with the objective of making day-to-day work quicker and more transparent for business teams, the tool can serve as a business project hub where users are capable of discussing tasks and ideas, managing schedules, and storing files securely in the cloud. You can also find our detailed review of Wrike here. Teams that use this solution can organize projects and tasks in a single and unified workspace. Uploaded files in this tool are accessible to your team members at any given time. Your company’s managers can assign tasks to employees, adjust for changes in the schedules with the use of interactive Gantt charts, and even join and participate in collaborative group discussions, real-time. This real-time aspect is an important part of the tool. Wrike aims to give users up-to-the-minute updates about the status of their projects. The tool provides live updates to users using group activity streams, while its built-in analytics features can give businesses an instant visual update of the progress of their projects. In case you want to check out these features for yourself, you can even sign up for a Wrike free trial here. Asana is a project and task management tool that allows for better team collaboration and communication. You can use this tool to create projects, and then create tasks within the projects you have created. You can add your employees to tasks as well as projects, add them as various task followers, share projects with them, or include them in your task comments so that everyone is in the loop. We also prepared a detailed review of Asana that you can read here. Asana eliminates the need for email to communicate around your projects. You can share notes on task descriptions as well as upload attachment to tasks, or even follow and search public tasks. With Asana, you can also combine related tasks with just a single click, organize tasks according to priority, establish your business workflow, get notifications on updates as well as task completions, set due dates to tasks, add employees as followers to tasks, and even add hearts to various tasks to show your gratitude. Your Asana inbox can be used to get notifications on all your tasks and project-related activities including when a task has been assigned to your employees, if a task is due on a given date, if somebody has been added as a follower, if a certain task has been updated or completed, if a task or due date has been changed, if somebody adds a comment, or if a certain attachment has been added to any of the tasks you are following. In terms of ease of use, Wrike’s 3-pane view, use of @mention to keep relevant things together, and Activity Stream, which shows the latest activities relating to the project (think of Facebook Newsfeed), give you great visibility horizontally and vertically across tasks and projects. Similarly, Asana offers a @mention tagging options, commenting capabilities, and project status tracking that makes it easy for you manage tasks from start to finish. Wrike also makes it quick to integrate its platform into other existing products, featuring iPhone and Android apps, along with compatibility with Google Drive, Dropbox, Apple Mail, as well as other popular systems. On the other hand, while Asana has wide-ranging integrations, this platform does not integrate with all of the tools that Wrike can. Some of the tools it can support are WordPress, MailChimp, Box, and Wufoo, thus guaranteeing you a huge variety of functionality. As far as management tools are concerned, Wrike’s dedicated management features seem to have an advantage. Wrike has some useful tools designed primarily for management purposes. According to your management style, various features such as the time-tracker can be very effective to monitor how company’s resources are being utilized. In addition, you can use an interactive Gantt chart to help you monitor progress. However, this comprehensive approach to project management means it does not have exclusive managerial tools or a dedicated management section. On the other hand, Asana offers simple and streamlined tools that are easily navigable for users who are not tech-savvy. These include note-taking tools, tagging functionalities, and comment capabilities. When it comes to analysis and reporting, Asana can match Wrike’s budgetary reporting features including: customized reports with options as estimated and actual costs as well as revenue tracking; and analytics that enables users to set a job role as well as automatically calculate costs. Thus, Wrike is an efficient budgetary tool, especially for smaller financial operations. Asana, on the other hand, uses Sprintboards to generate reports. In terms of team sharing, Wrike has the advantage. It has created a very efficient communication platform using e-mail. The tool’s good use of the @mention function enables team members to give their comment using a specific discussion or thread. This means that inboxes in Wrike do not overflow but are limited to purely relevant conversations. Asana, on the other hand, has created a system which rejects the very notion of e-mail. Banking on the idea that e-mail actually holds back productivity, Asana’s users are assigned to specific projects, which gives them access to every aspect of these projects without the need to discuss anything via e-mail. This can work or not for you, especially in cases when you still have to use email to communicate with external parties. On this note, Wrike expands your communication reach by integrating email. The Wrike workspace is equipped with comprehensive features. The last point of comparison we will be discussing is price. Both Asana and Wrike use a pricing model that is based on the number of users who will be using the account. However, Asana is generally a cheaper option for small-scale users. Currently, Wrike offers a free plan for companies with small teams of up to 5 users. This comes with the basic project management tools and can accommodate an unlimited number of collaborators. For larger teams, the vendor offers a Professional Package and a Wrike Business Plan which cost $9.80/user/month and $24.80/user/month. These contain additional features plus larger storage spaces. In case the capabilities in those plans are still lacking for you, you can also opt for their Enterprise plan which is available by quote. This one offers enhanced security as well as customizable feature sets. Asana, like Wrike, offers a free plan as well. However, this plan can accommodate up to 15 users and can handle an unlimited number of tasks, projects and conversations. They also offer a flexible paid plan that costs $9.99/user/month which contains additional functionalities for security and administrative management. Furthermore, there is an enterprise plan that is available on a by-quote basis. Asana offers powerful project management solutions at affordable rates. Our head-to-head Wrike vs Asana comparison shows that Asana can match a number of Wrike’s impressive tools at a lower cost. But in the long run, Wrike will give you more useful features. If you are intent on streamlining your working operations, both Wrike and Asana can provide you with a comprehensive and effective tool to do that. In the meantime that you’re tight in budget, Asana may be the preferred choice since its price packages work for most users, and it still offers an exhaustive number of features. Always have a backup plan. No matter how thoroughly you plan a project, things may still go wrong. This is why you need to have a backup plan at all times. For example, you have a supplier for a long-term project and you know that if they are unable to deliver the products you need, your project will fall apart. To ensure that this doesn’t affect your operations, you will need to have a list of backup suppliers that you can contact as soon as something goes wrong. In addition to coming up with these backup plans, you should also put together a good risk response team and variance management team to implement these backup plans and take note of changes to your project plan. This makes it easy to track progress and ensure transparency between you and your stakeholders. Establish a concrete way to measure quality. What is good for one client may be different for another. With that said, it is crucial that you have a concrete way to measure quality for each project. Some ways to do this may be by analyzing your work against industry benchmarks, comparing the results of your current projects to past projects, or checking the rate of your efficiency. You should also make it a point to document your progress and share it with stakeholders. Promote open communication among team members. It goes without saying that effective communication is important in planning. This is what allows you to relay information on tasks so that your teammates have a clear idea of what they should be working on. However, aside from this, it is important that you cultivate open communication within your team. As a leader, you need to listen to the suggestions of your colleagues. By doing so, you not only accelerate the planning process but also get fresher ideas to further improve your project. Best Online Project Management Software: Asana or Wrike?